S0720. 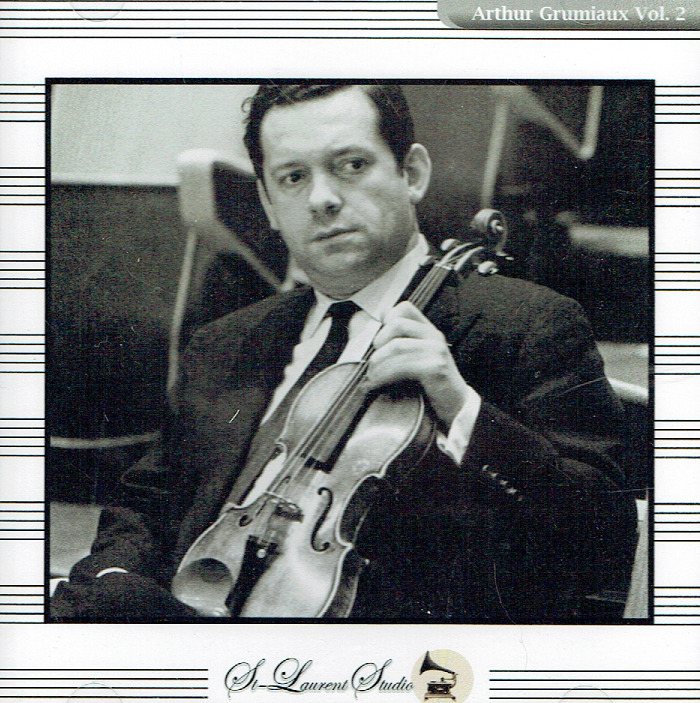 ARTHUR GRUMIAUX: Violin Partita #2 in d - Chaconne (Bach); w. Istvan Hajdu (Pf. 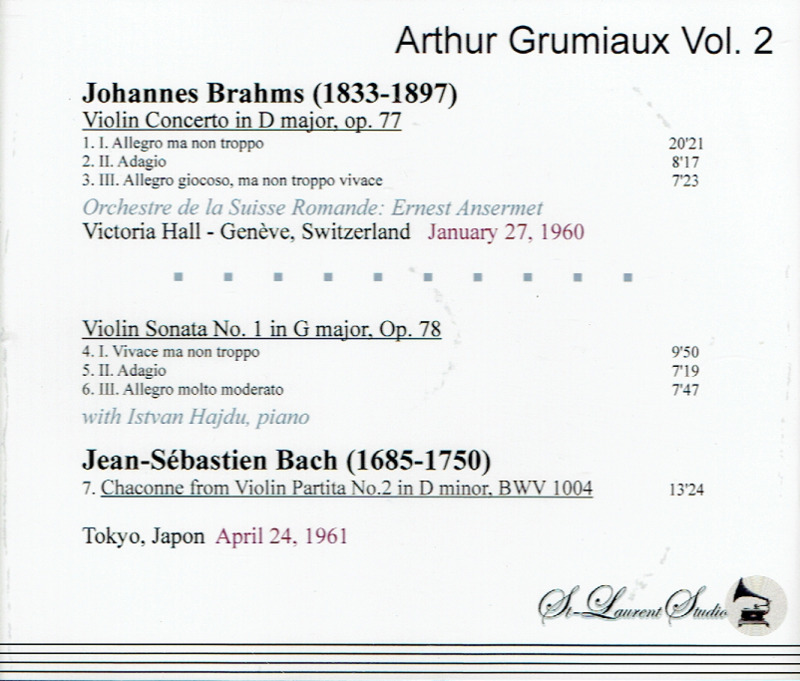 ): Violin Sonata #1 in G (Brahms), Live Performance, 24 April, 1961, Tokyo ; ARTHUR GRUMIAUX, w. Ansermet Cond. 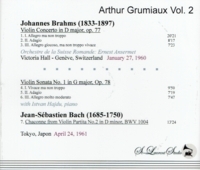 Orchestre de la Suisse Romande: Violin Concerto #4 in D (Brahms), Live Performance, 27 Jan., 1960, Geneva. [We are so blessed to have such ethereal performances available in excellent sound quality!] (Canada) St Laurent Studio YSL T-635. Transfers by Yves St Laurent.